As promised, here’s the plating for our new suckling pig dish. 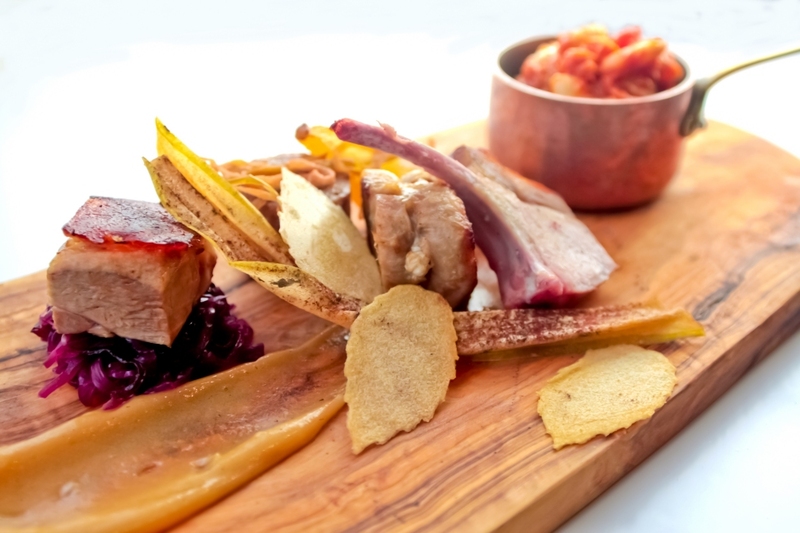 It’s a sequel of sorts to the Pork In Cotswold Orchard dish that proved so popular through the autumn months, with a few new wrinkles to elevate things just that little bit further. This time around we have three main piggy cuts (belly, shoulder, and chop), along with a meltingly tender piece of sausage. Each is cooked individually at a different temperature, to help coax a surprisingly diverse set of flavours and textures from a single animal. This entry was posted in Snapshot and tagged apple, applewood, beans, pear, pork, suckling pig, tarbais. Bookmark the permalink. Looks absolutely fantastic! 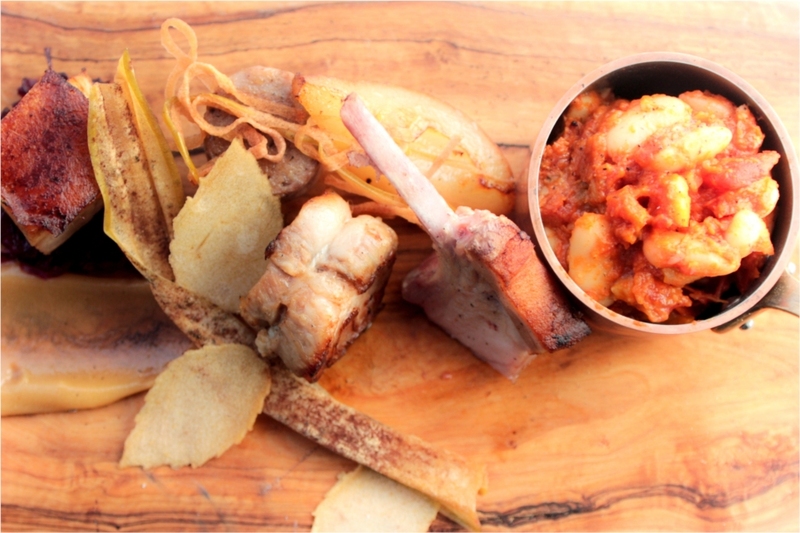 Love the idea of serving pork on a board, somehow seems so apt, maybe it’s the pork-apple link which is why. Great work.